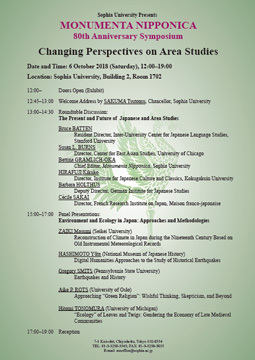 premodern and modern Japanese studies. here. 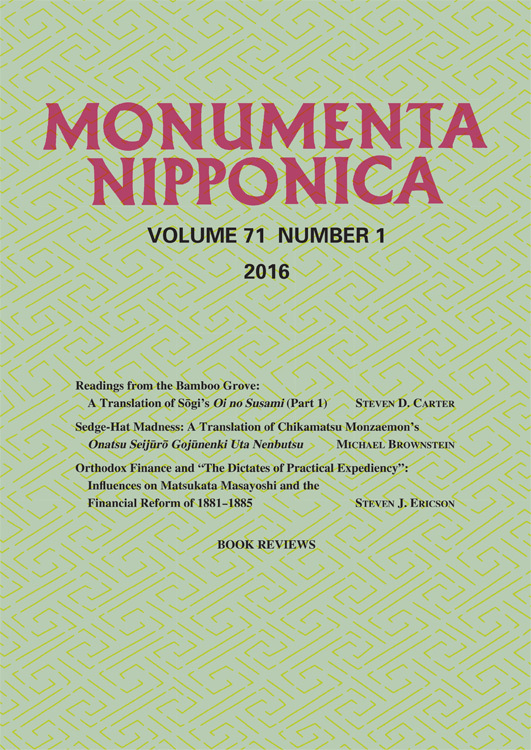 A print edition is also available. For details, please contact the MN office. 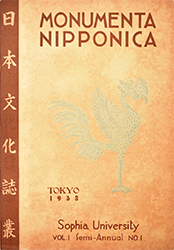 We’re pleased to announce that videos of the Monumenta Nipponica 80th Anniversary Symposium, held October 6, 2018, are now available on this website and on our YouTube channel. Our thanks go out to all of the participating scholars, the volunteers, and the many guests who joined us, as well as to all those involved with the MN exhibit held in the Sophia University Library October 1-19.